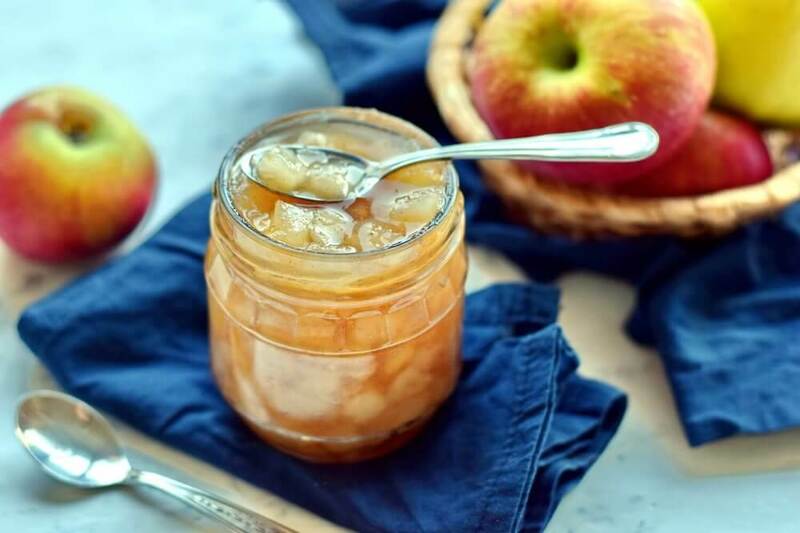 Pear is considered to be the perfect fruit for making jam due to its pronounced taste and aroma. And if the pear is also supplemented with spices and some citrus, then an amazing delicacy will come out. Pear jam is permissible to cook in various ways. 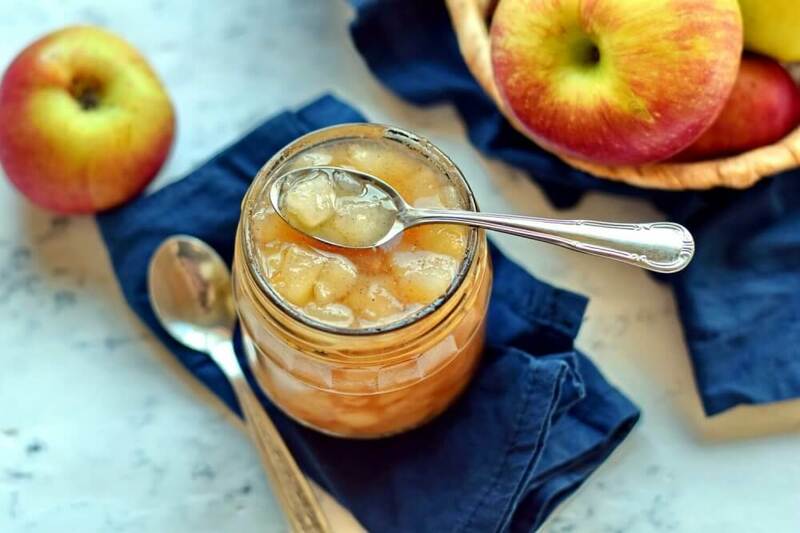 If you do not have time for short-term cooking and long infusion in several stages, then pear jam can also be cooked tasty, just boil it in one set for 40 minutes. 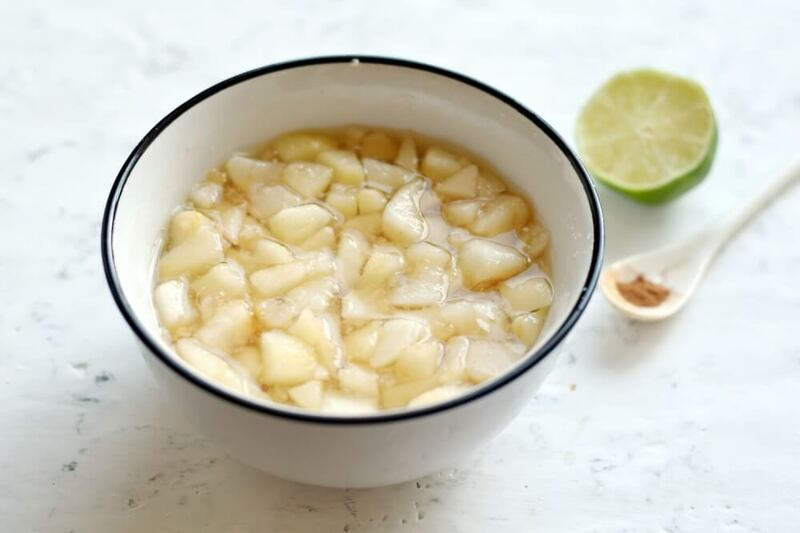 Lime juice retains the natural color of the pear, balances the taste of jam, eliminating cloying sweetness, and lime also acts as a natural preservative. Cinnamon gives the jam original spicy notes. 1. Wash the pear thoroughly, remove the tails, clean off the upper crust using a vegetable peeler. 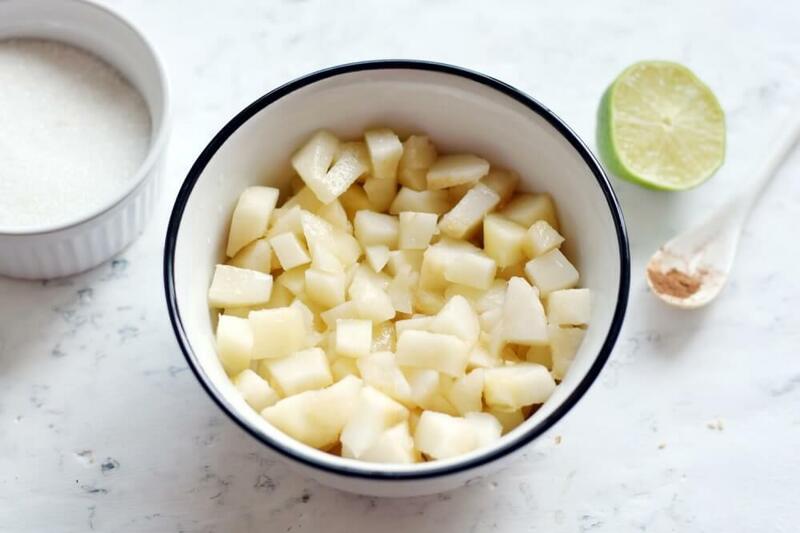 Then divide each copy into two parts, eliminate the seeds and membranes inside, cut the clean pulp small cubes, place them in a deep container. Choose glass or ceramic dishes, metal can lead to oxidation of the product, it is allowed to take enamel, the main thing is that it does not contain cracks and chips. 2. 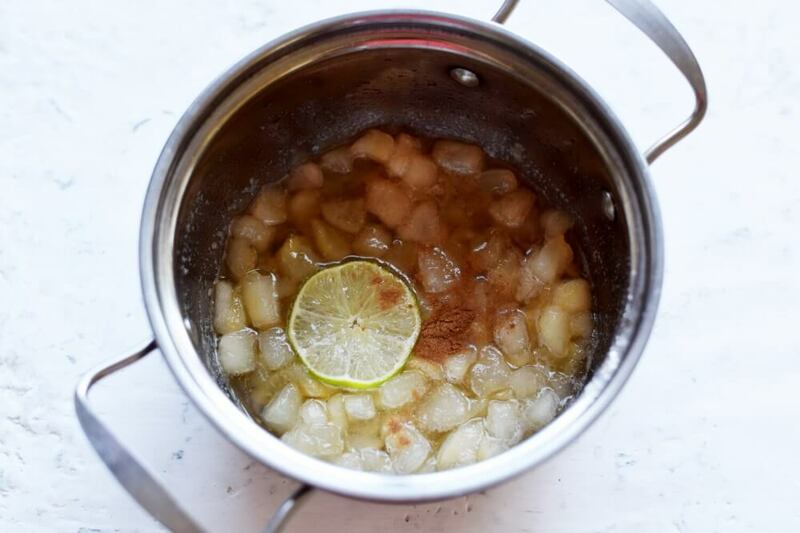 Liberally add granulated sugar to the pear pieces, cover the container with a towel, set aside for 4 hours. 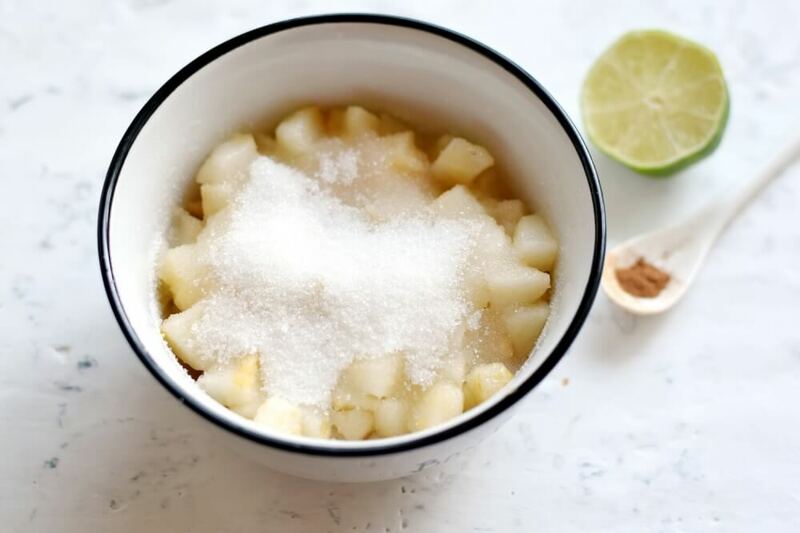 Periodically stir the bowl from side to side so that the grains of sugar are evenly distributed over the pear. During this period, the fruit should make enough juice. 3. 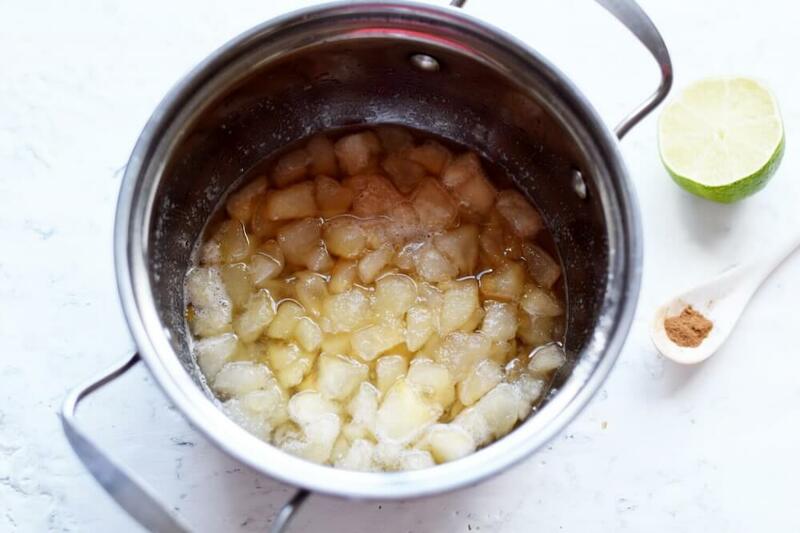 After that, transfer the pear with the juice out to the pan, set to minimum heat, bring to a boil, completely dissolve the remaining sugar at the bottom of the container. 4. Put a pinch of ground cinnamon in the jam, pour in fresh juice from half a lime. Make sure not to get into the mixture of stones from citrus. Cook the jam on low heat for the next 30-40 minutes depending on the desired thickness. Stir the mass periodically to avoid burning. 5. Spread the hot compound over the sterile container, screw it very tight with clean lids, set it upside down, wrap with the blanket on all sides to cool slowly.